This past week was a big one in our house- I started working, more to come on that in a future post, and Daphne got a “helper award” at school! Yay Daphers! A helper award, if you don’t know, is given as recognition of being helpful without being asked to be helpful. I’m so proud of my girl! I let her pick out some flowers to celebrate, and she picked pink roses! They were so pretty! 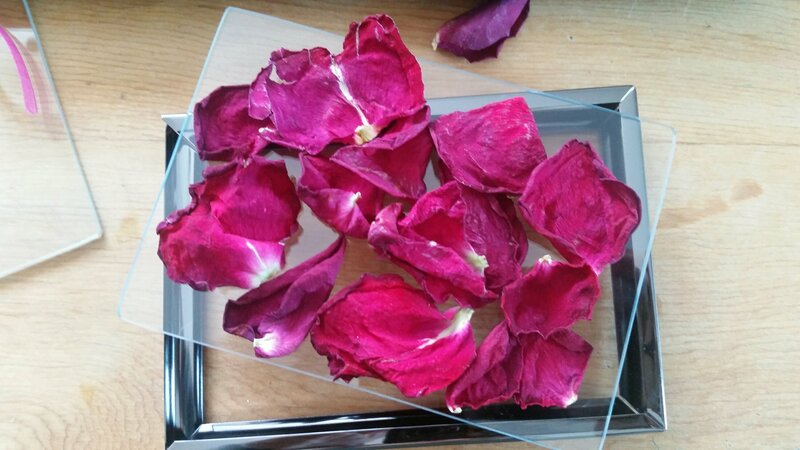 And they wilted SO quickly- even though I’d put the cut flower food in… It was a bummer. 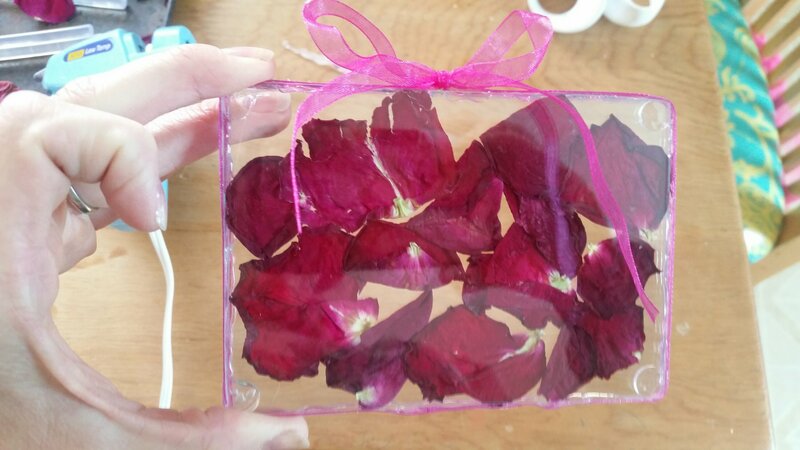 Instead of just tossing them, we pulled the petals off and let them dry for a couple days on a cookie sheet. 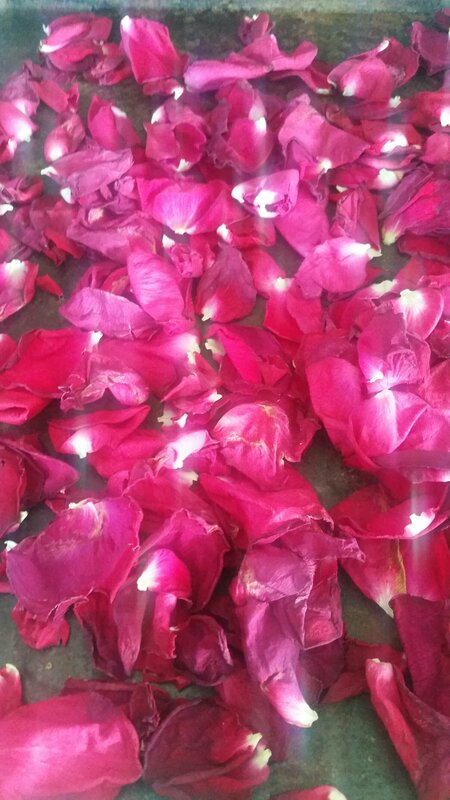 This morning I decided to make some art with the rose petals. 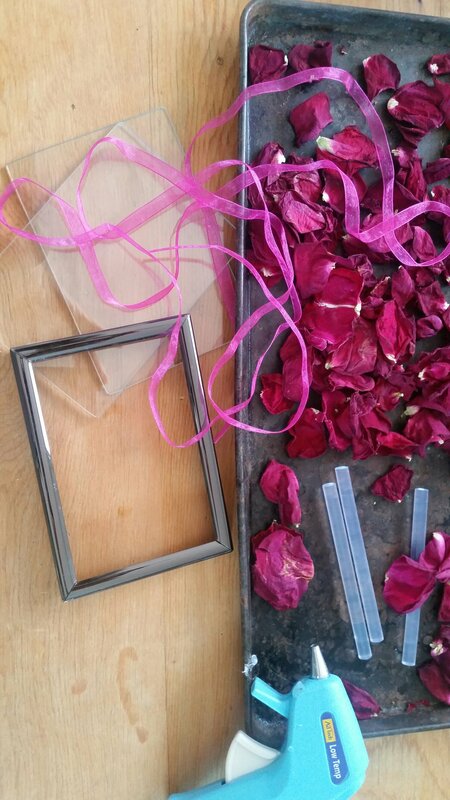 Project 1- The first thing I made is sort if a… “glass encased rose petal window decoration” I made with two pieces of glass pulled from dollar store 3×5 frames, some ribon and some hot glue. 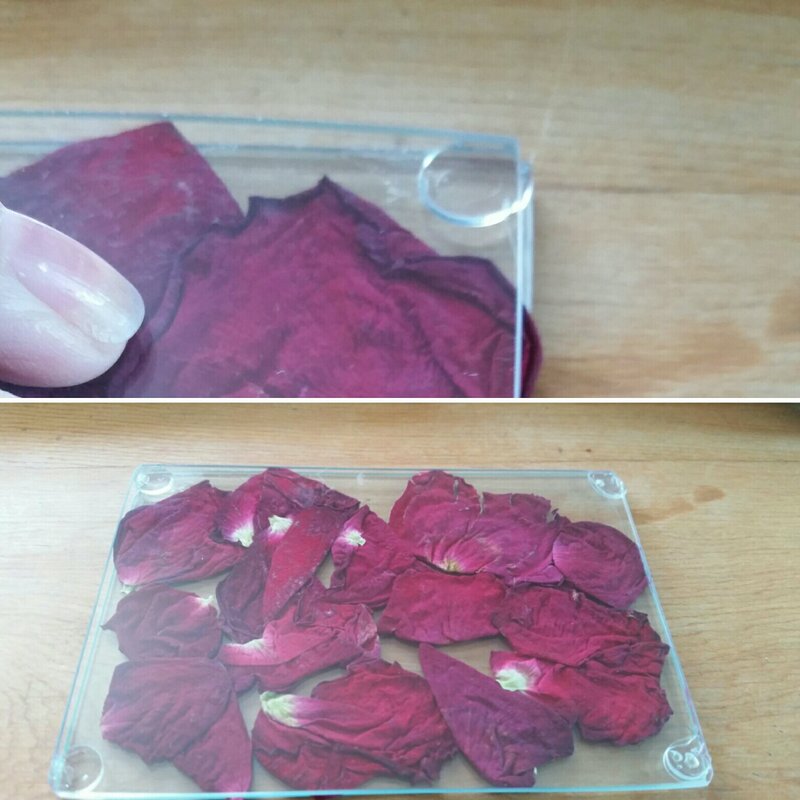 I cleaned the glass and picked out a handful of rose petals. 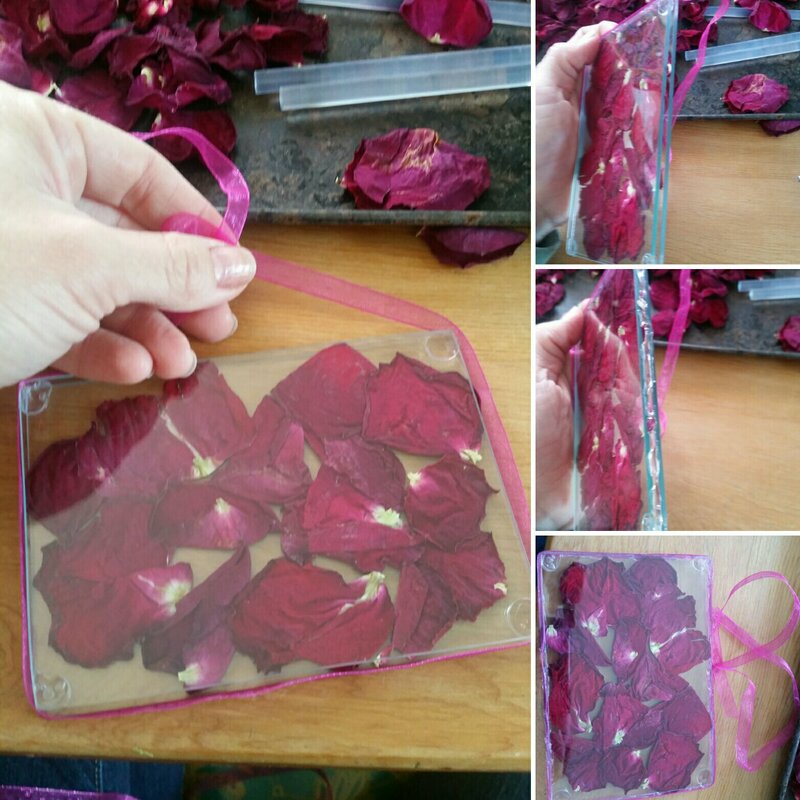 Placing the petals between the two pieces of glass I glued them together in the corners with hot glue, like so. Then I glued pink ribbon around the whole thing, and tied a bow. *If I do this again I may add a hanging element. But it works to just let it sit in the windowsill too. Project 2- After the the glass frame, I still had some creativity to get out, so… I got an old (clean) baby food jar, some instant decoupage, some purple natural raffia, some purple glitter (what the heck? ), and some battery operated tea lights. 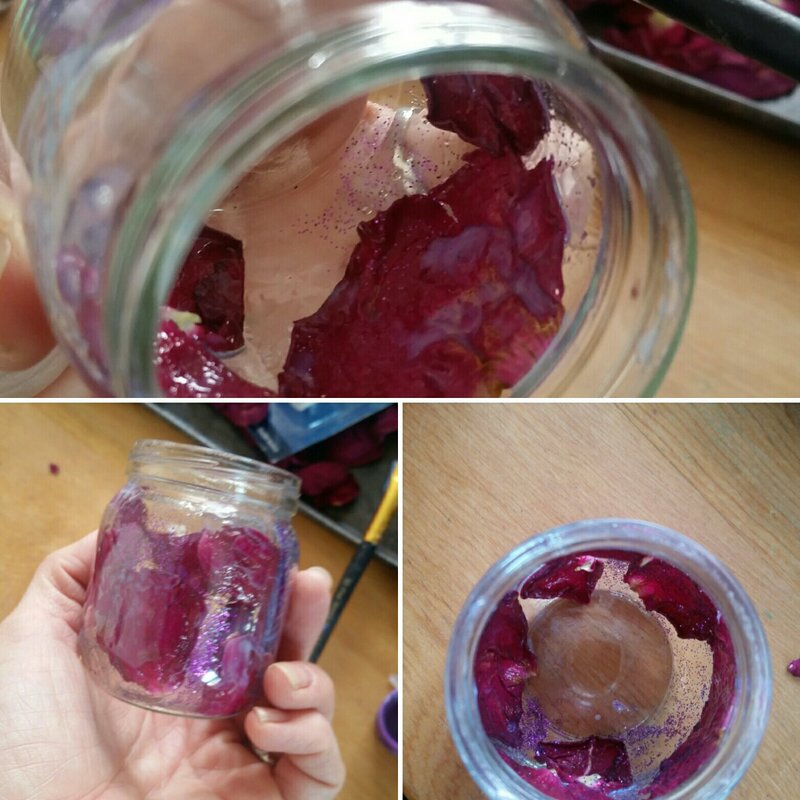 Using the instant decoupage I pasted the petals on the inside of the jar (putting the decoupage on both sides of the petals) and sprinkled some glitter in for a little extra pop. 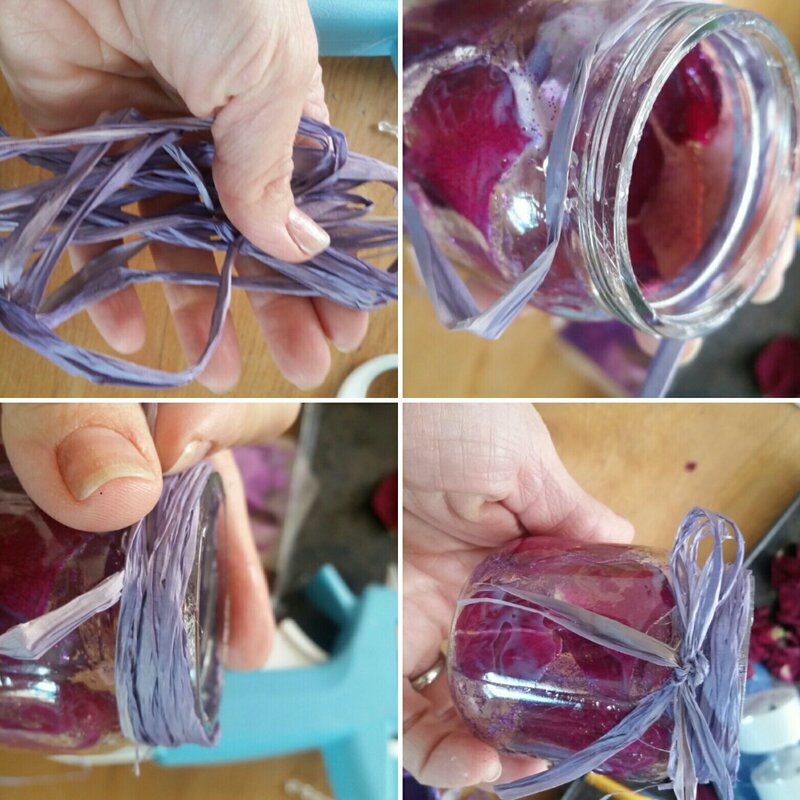 Next I fashioned a decorative raffia finish to cover the top part of the jar and put it up for a couple hours to dry. 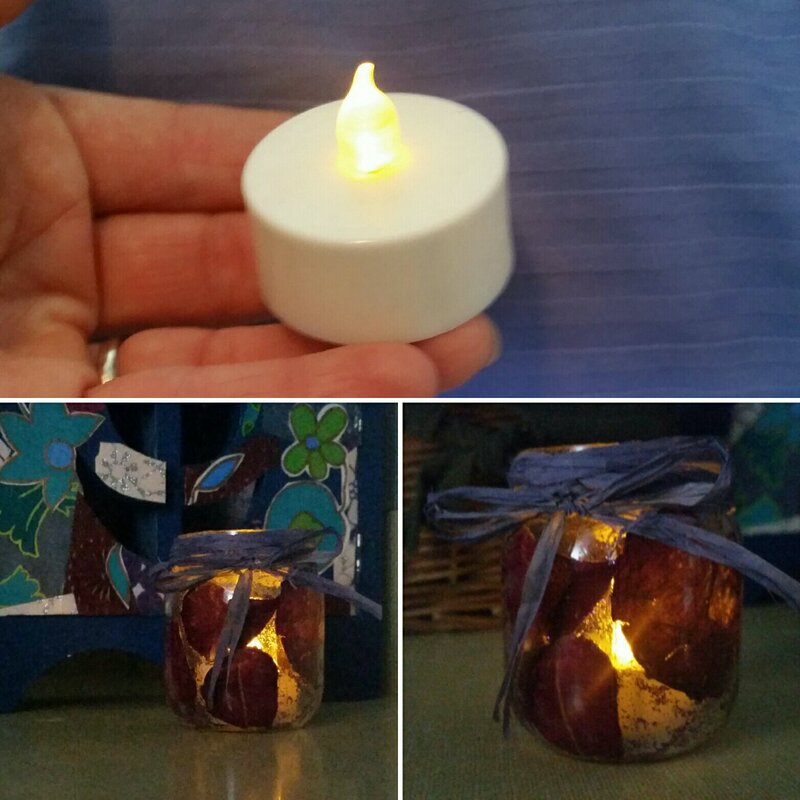 The last touch- the flameless tea light. I would NEVER use a real flame candle (and you shouldn’t either!) 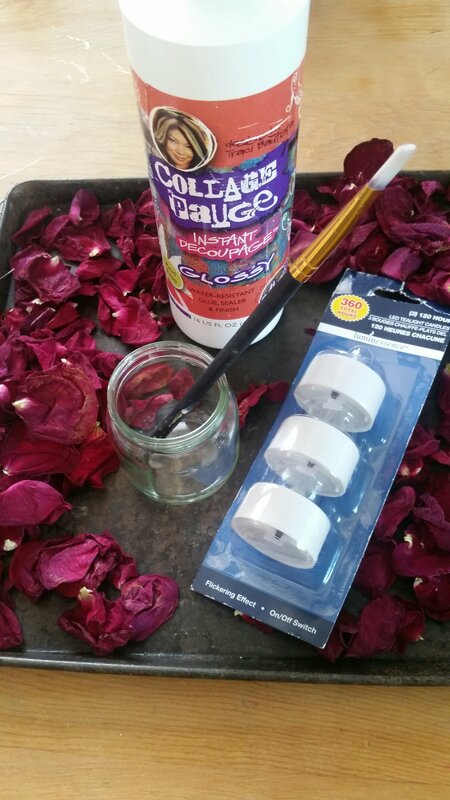 in a jar like this- the decoupage and rose petals aren’t fireproof! 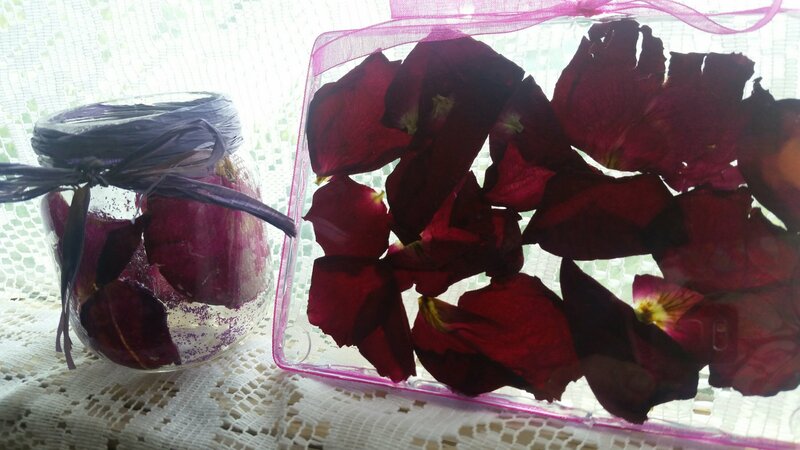 I really like how both projects turned out, and Daphne loves that the pink roses have been preserved! 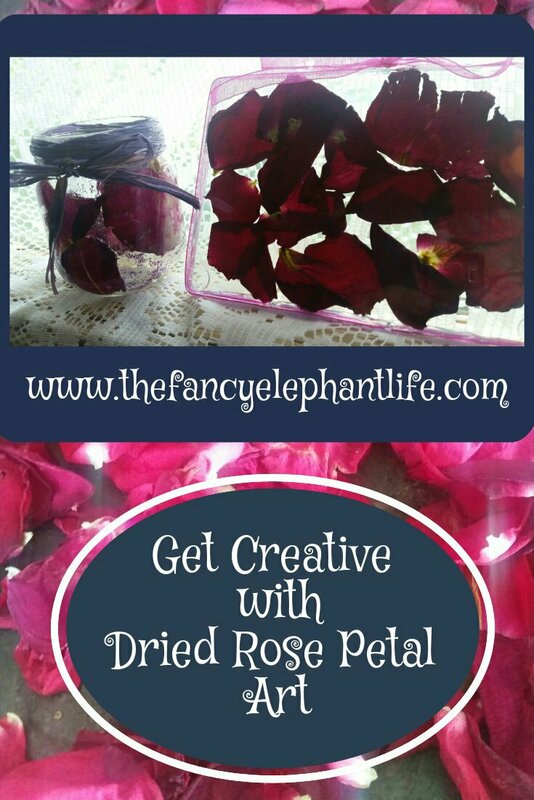 Thank you for stopping by The Fancy Elephant Life and I look forward to hearing your rose petal art suggestions! Have a beautiful day! Next Post DIY Magical Mermaid and Fairy Lantern Tutorial!